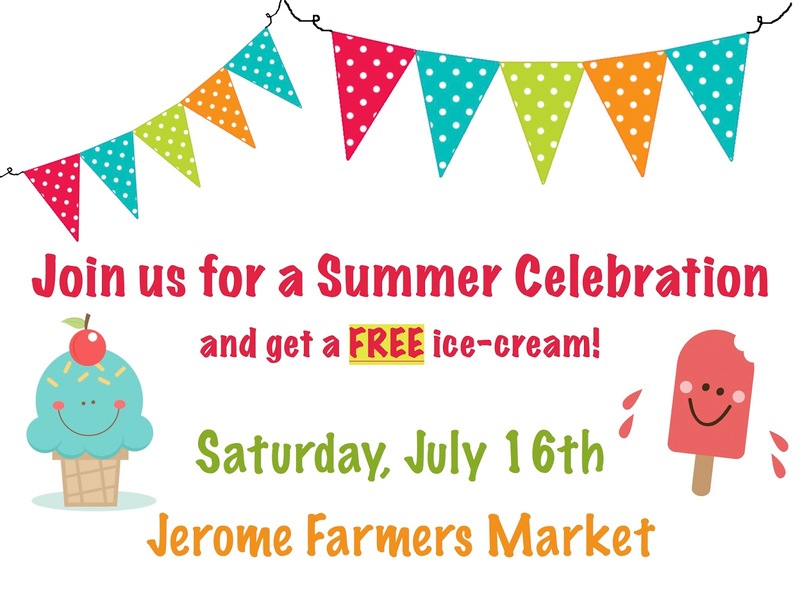 The Jerome Civic Club will be selling cotton candy along with their pies and other delicious homemade goodies. Check out our add in the local paper for our monthly coupon. We will also be giving away basil with every produce purchase. Please come and support our wonderful vendors and all they have to offer! Oregon Berries at the Market this week!